The Blog for www.thecricketspot.com Your SPOT for top of the line cricket gear! Interested in some products reviews? Have you seen this cricket equipment? Made in the USA! Very high quality and you absolutely cannot beat the price! They have an grade 1 english willow bat for only $200, a Kashmir Willow bat for ONLY $75.00 and a practice tennis ball bat for just $45.00. Pro Impact Sports products. They also have high quality protection gear at great prices as well as cricket balls. I highly recommend trying these products! Gunn and Moore 2012 catalog! 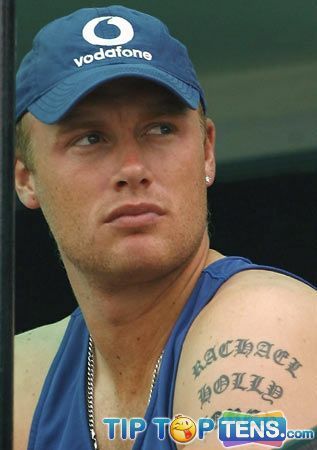 So I am getting excited for 2012 cricket year, can you tell? I am checking out the Gunn & Moore website for their 2012 lineup of products! Have you seen the new 2012 Kookaburra products? Kahuna is back as well as the Blade and Rogue collection. The CCX range is no longer! New is the recoil range. Here's a bit about it. 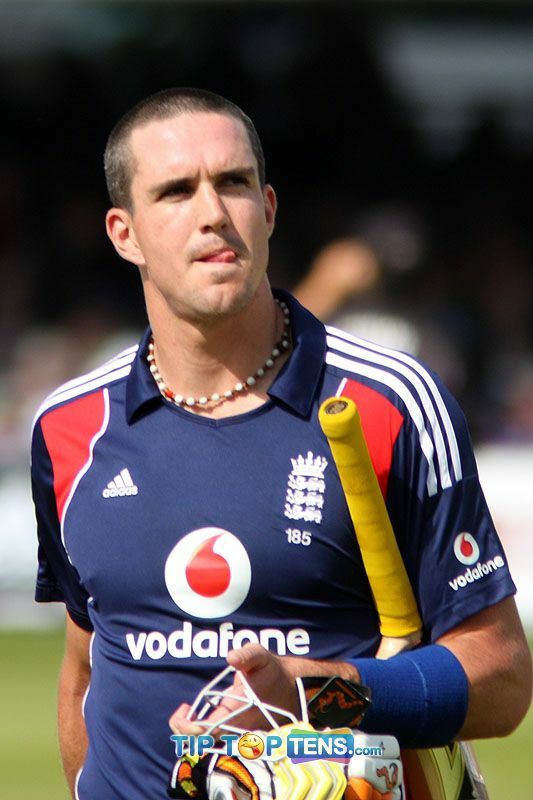 The recoil is endorsed by Joe Denly, Dawid Malan & Stephen Moore. 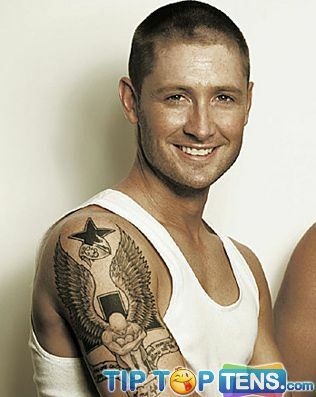 We plan to bring in a full range of Kookaburra 2012 at The Cricket Spot! These are the newest products for The Cricket Spot to bring in to our webstore. This New Zealand brand is top of the line and unique in many ways. They focus on protection gear (pads, helmets) and accessories (batgrip) and have a technology like no other brand. They have worked hard to make sure they are bringing the newest technology matched with top of the line materials. They have done their research and created the finest equipment. Shop http://www.thecricketspot.com/ now to find aero cricket products. Number 1 - It's the 2nd most popular sport in the world! Number 2 - There are so many different types of cricket, there has to be 1 for you! and Number 3 - Cricket is the only sport that can last for 5 days......why rush a good thing? Cricket Growing Popularity in the United States? We will be following the team and there scores here on The Cricket Spot Blog! Cricket kits are great ways for beginners to start. For less than $40 you can get all you need. How many sports can you do that? We will add to this list as I research more youth products. Interested in a gift certificate from ww.thecricketspot.com? Post on our wall a review of your favorite cricket bat (doesn't need to be one we carry) and we'll choose a winner at random to receive a $20 gift certificate! Probably not his best day but it cheered me up..........http://www.youtube.com/watch?v=5H1l7CqD9vQ&feature=player_embedded#! Don’t know your deep fine leg from your silly mid off? Never fear. 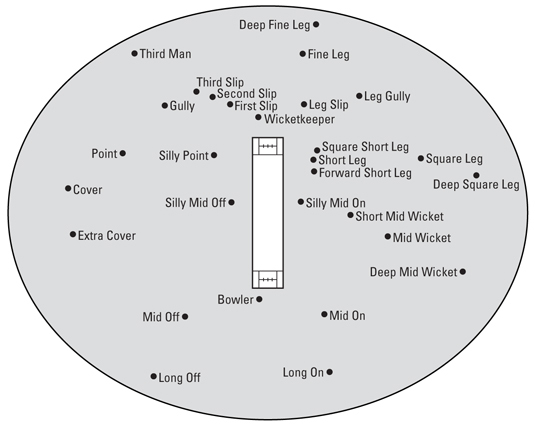 This diagram shows you all the commonly used fielding positions in cricket. The figure assumes that a right-handed batsman is standing at the opposite end of the pitch from the bowler. Cricket teams are now part of over 50 US colleges and Universities. Excellent! How to care for/prepare your new cricket bat? What things should I look for when buying a new cricket bat? This is a very important question that needs to be addressed while cricket bat shopping. Whether you spend $500 or $80, one should have some questions answered first to be assured that the cricket bat chosen is the perfect fit for you. The first thing you should ask is what type of wood is the cricket bat made out of? All Cricket bats are made from a type of wood called Willow. English Willow is the best type of Willow wood because it’s a lightweight wood, it is shock resistant and it doesn't splinter when hit with a hard cricket ball. If your budget permits, go for the English Willow. The next thing to consider is the weight of the cricket bat. Weight is important! Most players prefer a medium weight bat. The most important thing is to choose the weight that feels most comfortable to you! Another important factor to observe when choosing for your new cricket bat is the density of the bat or softness versus hardness of the bat. Harder bats tend to last longer because they don’t break as easily but don’t always give you the hitting power you may be looking for. So consider both of these factors before purchasing your new cricket bat. In conclusion, choosing the cricket bat that’s the perfect fit for you is important. Make sure you have all the information you need to make your decision. Once you make your purchase make sure you pay attention to cricket bat care. 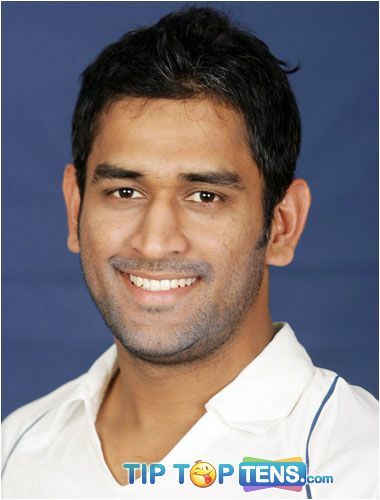 This is the blog to our online store, www.thecricketspot.com. 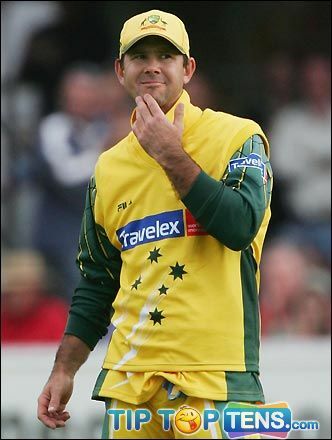 At The Cricket Spot, we have one goal – for TheCricketSpot.com to be the best place to buy Cricket Gear on the web. In fact, we offer outstanding deals on your Cricket Gear related needs. If you can't find it at TheCricketSpot.com, there’s a good chance it doesn’t exist! When you check out our quality selections of Cricket Gear, you’re bound to find a product that fits your needs and is exactly right for you. We bring you deals on the best Cricket Gear around. On the Blog, my goal is to talk about cricket news around the world and share specials about things going on in our store. We want this to be a fun community! Thanks for joining us!